Welcome to a land with many hills (mini mountains, really), perfect 50 degree weather year around, and a lot of hoodies. San Francisco is great for all those aspiring to make it big in Silicon Valley, pay ridiculous rent (but hey that's New York too), and of course, eat a lot of vegan food. 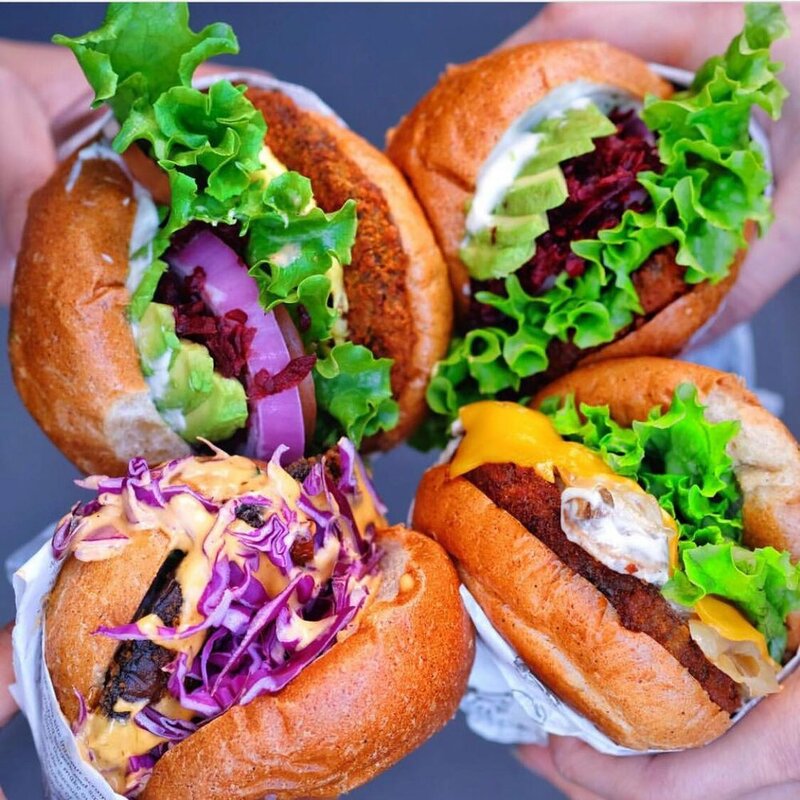 VeganBurg's original location is in Singapore, but when you can't afford to take that 18 hour flight to get these delicious burgers, go to San Francisco! They have amazing vegan burgers like the avocado beetroot and creamy shroom. They also have fully loaded fries, broccoli sides, and best of all, vegan vanilla soft serve (with sprinkles!). This was definitely an amazing burger. What I like about California is that it's closer to Asia than New York is. The food in Asia is amazing and IndoChine in SF takes some of that "neighboring" Asian food, makes it vegan, and then gives it a delicious twist. Take this Vietnamese fragrant clay pot dish for example. 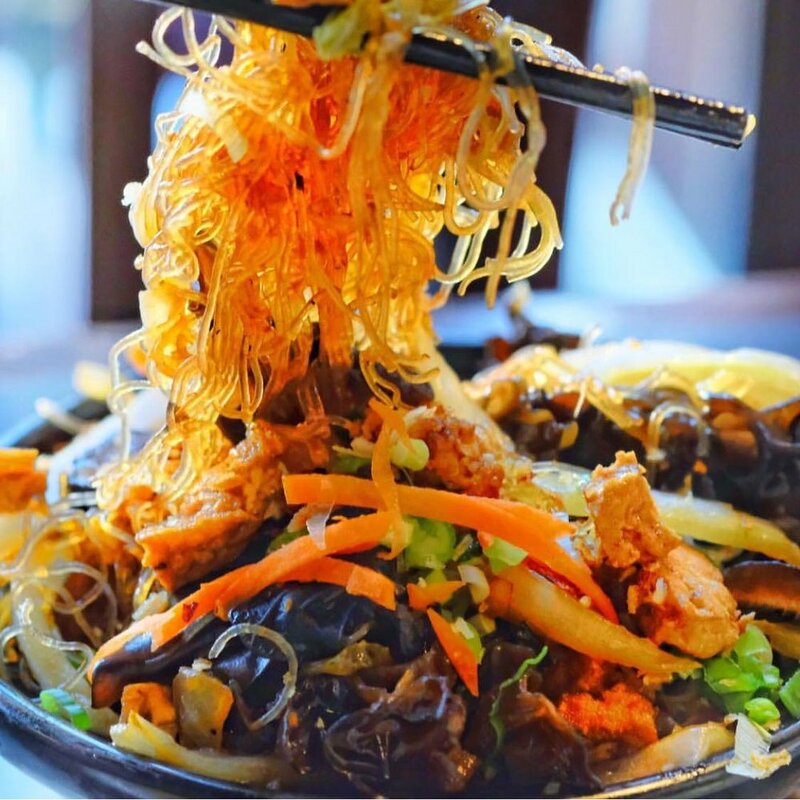 It's full of soy protein, organic tofu, shiitake mushroom, black fungus, napa cabbage, and of course vermicelli noodles. They also have amazing vegan sushi, so I have no complaints here. Sushi Shizen is famous around the vegan community, so no surprise it's on this SF list. They bring highend and unique sushi to SF and does vegan Japanese food better than anywhere else I've been to (sorry, I still love you Beyond Sushi). If you're looking for a somewhat fancy restaurant that serves sophisticated sushi, ramen, and other Japnaese dishes, this place is for you. Warning though, there will be a wait for a table. When I went on Sunday for dinner, there was a two hour wait. SF is known for their amazing Mexican food, especially in the Mission District, so no surprise that Gracias Madre is one of the top vegan restaurants in SF. They have another location in LA, but this location has more of a relaxed vibe with the same amazing food. A block away from Gracias Madre exists Wholesome Bakery, housed inside an outdoor equipment shop. They have cookies, pastries, and beautiful cupcakes. I personally love the lavender cupcake! Asian inspired ice cream flavors are a blessing because it brings me some serious nostalgia. 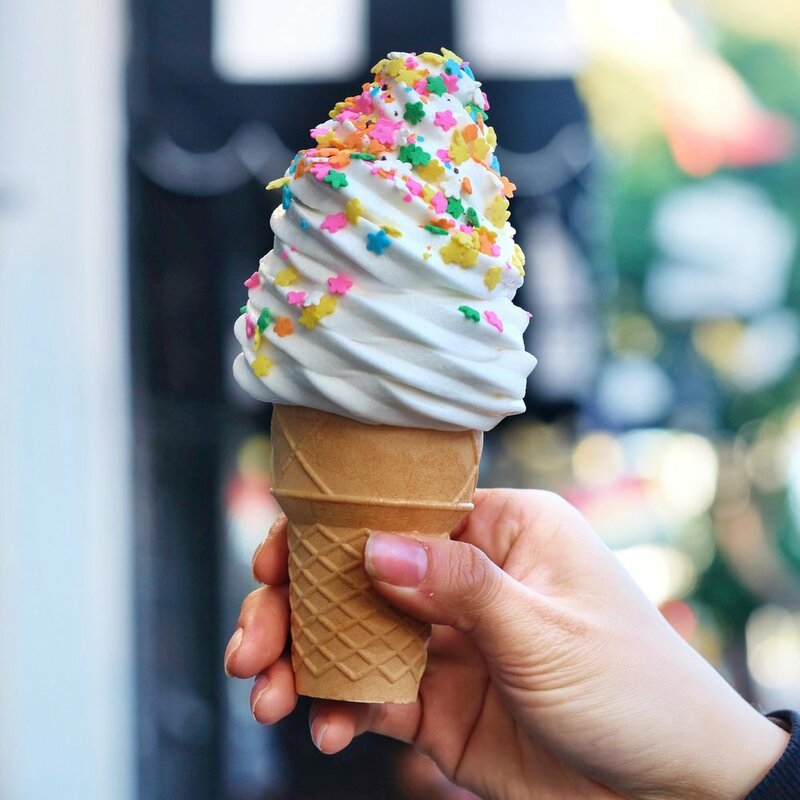 This ice cream shop is not fully vegan, so it's great to bring your omnivore friend, but they also have a whole fridge dedicated to vegan ice cream. Some flavor examples include: Thai Ice Tea, Mango Sticky Rice, Pandan, and other seasonal flavors. There's an argument among smoothie lovers over what makes the best acai bowl. For me, I want the acai bowl to be thick, resistant to quick melting, and flavorful on its own. Sidewalk Juice meets all of my criteria and is one of the best acai bowls I've ever had. They don't serve their bowls in cute Instagramable bowls, but the thickness and taste makes the trip worth it. They have multiple locations as well making it easy to meet your smoothie desires. When you're in SF and suddenly crave Chicago style deep dish pizza (or when you have omnivore friends who refuse to go to a vegan restaurant), Patxi Pizza will be able to satisfy you! They have one vegan Deep Dish that has a whole wheat crust, fresh spinach, fresh garlic, red onion, and Daiya vegan cheese. It's indulgent, heavy, and everything you could want in a deep dish pizza. Surprise, surprise, I sometimes like to eat healthy food. Nourish Cafe, like its name, sells food that nourishes your body. I was able to fill myself up with smoothie bowls, healthy cookies, and lots of toast (they have avocado toast of course). They also have a cute space, which would meet the average #wellness Instagramer's standards. PS: It's often foggy in the summer. I warned you! It's right next to Bi-Rite Creamary too, which usually has 1-2 vegan flavors! *Fisherman's Wharf and Alcatraz Island are also popular tourist spots, but Fisherman's Wharf is not very vegan friendly (as you can imagine) and to get a tour of Alcatraz you have book far in advance, so those are things to consider as you plan your trip!